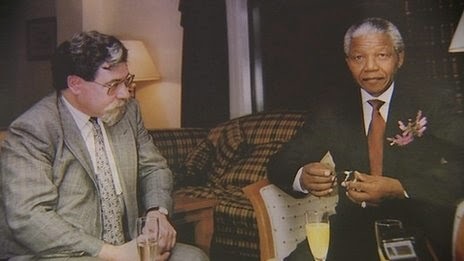 … then St George’s Place in the city was renamed to Nelson Mandela Place in 1986 … when it became obvious that the South African Consulate-General’s address was c/o Nelson Mandela – in apartheid days that was a sting in the tale. All expressing the Glaswegian’s remorseless quest to imbue everything with a low chuckle … a music-hall type experience contrasted with London Olympics 2012. 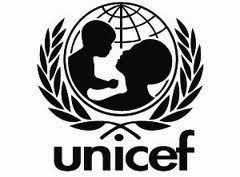 The Games – raised £5 million for the United Nations Children’s Charity via a Worldwide Appeal. Deep-Fried Mars bars … the ‘dream’ of the athletes and visitors to the Games … to try this tasty morsel developed by the Scots. Malt Whisky was and is always in demand – personally I can’t stand it … funny how our tastes vary! A fun time was had by all … cheers!! I saw the picture where the queen seems to have photobomed a selfie. Not sure how accidental it was but it's a great picture and I think it shows a good sense of humour. Goat curry is nice. Like lamb but less fatty. The Queen is a photo-bomber!! That's awesome :)and I totally would LOVE a deep-fried Mars Bar. I would love the queen to photo bomb my pics. There's so many good things here. Tea cup dance. Love it. I would also love to try a deep fried mars bar. I love the use of the trees to make the cups that were given out instead of the flowers. 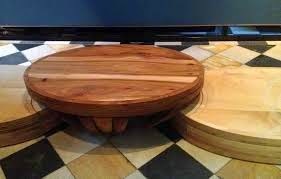 I've heard of Haggis, but had never seen what it looks like. Hilary, your posts are always filled with a wealth of information and fun. Thanks. 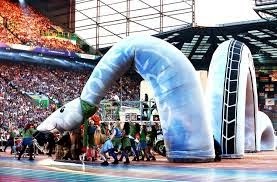 The inflatable Nessie is funny. That's awesome the games raised so much money. Oh this makes me want to go back to Scotland. Mmmm, shortbread. I loved it there. Oh my but those dancing cupcakes made me smile! Such a fantastic event. I like situations where a country has a little more humor about itself. Sounds like the performances here really contrasted with the 2012 games! Ug to whiskey. I don't get it either! I didn't realize Mandela was so involved in the event. How fun! Especially with all the details you provided! It must have been quite a sight. Walkers are in all the stores here! Great stuff. 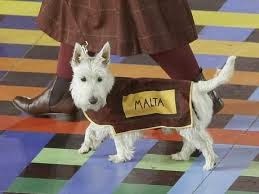 Love the tartan and the Scottie dogs! I especially like Clyde and the doggies. What an absolutely fascinating show it must have been. Don't know Tunnock tea cakes and I'm ashamed I've never eaten Haggis. 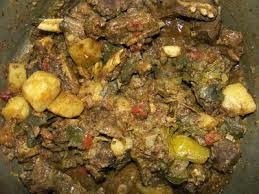 I would like that Jamaican goat curry too. I love Ms. Nessie too. 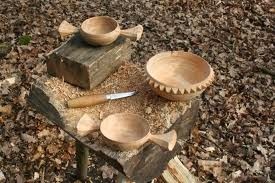 I think the idea of the Quaich is excellent, something they can keep. You don't like malts Hilary, shame on you then. Would love to have been there. @ Patsy – it worked and the Queen certainly has a sense of humour … it’s a fun photo; Goat is a good meat – I enjoy it .. and lamb is a little fatty isn’t it – had some last night! @ Keith – it’s a fun thought about the Queen isn’t it … and I’ve never tried a Mars bar that way .. not sure my poor tummy could handle it now! @ Teresa – wouldn’t we all love the Queen to visit – I’d have lots of questions to ask her! There was lots going on – so a fun post to write up ..
@ Theresa – yes Scotland and Glasgow shoed they had lots of humour to share with the world … it’s the Friendly Games v the Olympics – so it’s bound to be a little different … Well I’m glad there’s another non-whisky lover! Haggis is usually cooked in a skin, like a big sausage, and is fairly spicy and very rich … but very tasty – so I’m sure you’d enjoy trying it … especially if you can eat goat curry! 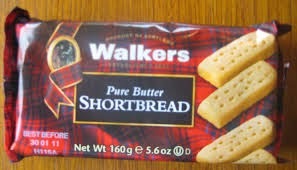 @ Diane – Walkers shortbread is good isn’t it .. So Mandela wasn’t involved with the Commonwealth Games, other than South Africa participates, but is inextricably linked with Glasgow city. @ Rosaria – it was a fun event – and everyone was complementary … the sport was pretty good too .. 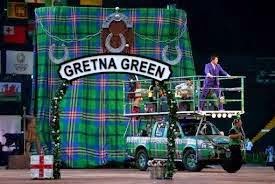 There was tartan everywhere and the Scottie dogs were an inspirational addition to the Opening Ceremony leading the teams out ..
@ Janie – it was all good and fun ..
@ Jo – it was a fun time .. a few blips at the beginning, but all went smoothly thereafter. I didn’t know Tunnock Tea Cakes either … now Haggis I’m happy to eat … as too the Jamaican goat curry. @ Karen – lots of pics to choose from – but the Queen enjoyed her time looking around at the various venues … thanks re the photos. I didn’t get up there unfortunately – if I’d have had tickets I’d have gone … but I only had squash ones – and was able to give them away to a local family. 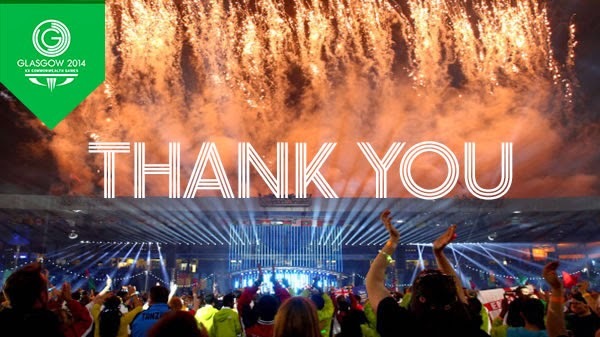 I enjoyed your post more than the rather over-long opening and closing ceremony themselves! Listening to Albeniz's Sevilla from the Suite Espanola. Those dogs are so cute. No wonder they stole the show. Deep fried mars bars. Those must instantly clog your arteries. Sounds like a fun games. Glasgow has blossomed as a fun place compared with the dark reputation it used to have. Tried haggis a couple of times, but much prefer black pudding. Little Scottish Terriers are so cute. 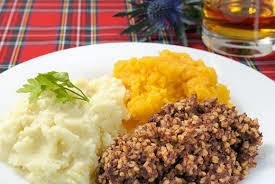 :) My husband tried haggis when we were in Glasgow (he wasn't brave enough to try the blood pudding). Ah, Scotland. I will return some day. What a wonderful event. Cheers! There's something quite special about the bagpipe. We had a fellow lead us into the auditorium when I graduated from college. And they played a recording at my father's funeral. But the sound and music is more than just those 2 memories. It makes me yearn for some unknown clarity. Those deep-fried Mars Bars look delicious! Thanks for the behind the scenes look at the Olympics, Hilary! Dunedin is a Scottish city in NZ and that's were I tried Haggis. Mm not really me. 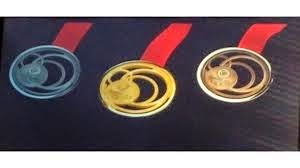 New Zealand had about 14 gold medals I think. One of them for SOphy Pascoe who was in my daughters class We are really proud of her. A fun selection of Scottish titbits. The games passed me by although you couldn’t switch on the BBC without having a competitor flying at you. Glasgow is a city I’ve never visited. Do you think I should? Nice things were said about it but I doubt that I’d understand the natives. @ Brian – Nessie was fun wasn’t she; yes the fund raising for UNICEF – took off … while the little quaiches are certainly different and worth keeping ..
@ Jeanne – the Scottie dogs … always capture our attention. Deep fried mars bars – I think one needs a young stomach! But I’m sure they taste delicious! @ Ian – there’s lots going on in Glasgow now … they’re trying to put that challenging reputation to rest, so the Games have definitely added to the positive nature of Glasgow as a city of Culture. I buy black pudding on occasions … but would only probably have haggis in Scotland … or on Burns Night! @ Marja – lots of Scottish names in New Zealand … at least you tried Haggis in Dunedin. I quite enjoy tasty sausages .. and I enjoy haggis, but don’t eat it down here .. and only in cold weather! @ Friko – thanks .. it was fun giving an overview like this … I know the Beeb was constantly broadcasting the Games or talking about it … only 10 days though – now we have football for the next 11 months: seems an imbalance to me?! Understanding the natives – now that’s another matter! @ Ann - good to see you - it was quite hard work .. it's how to bring the whole together ... but I've enjoyed drafting up the posts and am happy you've enjoyed the read. @ Fil - well you've got lots of performance festivals on - so I'm not surprised. The Scottie would love to be at home in Ireland with you .. and I'm sure the half-a-dozen cats will enjoy Scottie's company! Sounds a fun thought .. I've never tried a Tunnock teacake - though think I can imagine what they'd be like ... and I've never tried a deep-fried mars bar ... but similar to melting a mars bar over ice-cream ... except distinctly gungier! I missed the games completely, but I did see the selfie with the Queen on it. 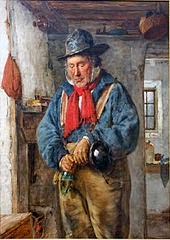 She looked as if she knew exactly what was going on and was delighted. Well I like to think so! Cheers to a fun time for all! I'll have to try the Deep-Fried Mars bars sometime. It may be the only time I try it, but it's now officially on my "To Do While I'm Still Alive List." @ Debbie - Glasgow seems to have had a very successful Games. I understand the Queen does have a great sense of humour .. and seemed to enjoy her time at the Games. 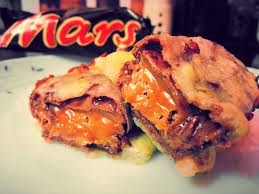 Yes -I think that's probably the right thought for a deep fried Mars bar ... hideous, but oh so delicious! All the UK teams did well - it brought another emphasis .. I loved the selfie with the Queen. I can just imagine the surprise of the picture takers when they discover who's in the background. The dancing tea cakes were wonderful. I imagine that's not easy to do in that costume. By the way, thanks for letting me know about the issues at my site. It was a BIG problem, but hopefully is now resolved. 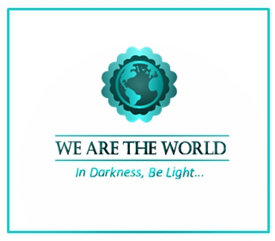 Such a great way to raise money for a worthy cause and connect people in a world of fun and games. Selfies are always bombs or extremely amusing. 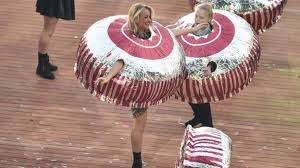 I quite agree - dancing as a teacake in that costume must be a little troublesome .. but they had a lovely evening. Glad you managed to sort your problem out - sorry to have that frustration on your site - but glad I could help. @ Lee - it was a brilliant idea to raise money via a phone-in ... the first time it's happened I gather .. There were a few selfies that were happily constructed! But amusing and fun to see ..
Those tea cakes are so funny! Thanks for the interesting post. Well done Hilary! I really enjoyed the post and all the comments - so strange and uplifting to see Scotland through the eyes of the world! I confess, I hate whisky,I have never eaten a deep fried Mars bar, I only eat haggis on Burns night and I sickened myself of Wagon Wheels, Tunnocks Tea Cakes and Irn Bru as a kid! I do make a great Scotch pancake though, and love oatcakes and Scotch broth! I love that photo of the queen - it's my favourite one of her EVER. So much humanity and fun captured in her smile. The Queen certainly entered into the spirit of the Games and enjoyed her appearances in the selfies as she went ... my iphone photo doesn't really do it justice ... but it gives us the spirit of the hockey players waiting their moment! 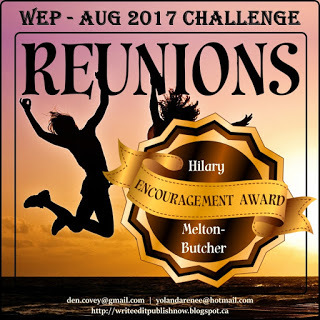 how I wish I could have been there Hilary however the next best thing is your blog. One day I will visit Scotland because it has been on my to do list since I was very small. 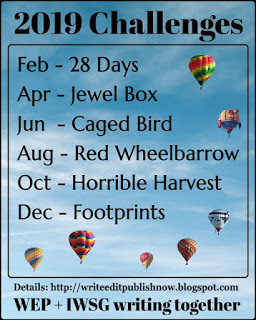 Your blog is always a delight to visit. I adore the Olympics...I wonder if these games are telecast in the US and I've just never landed upon them. I love the scotties, I will gladly leave the haggis, have to run and grab a shortbread out of my pantry as soon as I've finished typing (with coffee, not tea!). This is such a great series...off to part 3! @ Cecilia - many thanks and I do hope you get over to Scotland some day - it's a beautiful country. Just delighted the blog is a happy place to visit ..
Shortbread - is a good thing to have around isn't it! I'm going to try those teacakes this weekend!